ID: 75 ~ Source: University Archives Photograph Collection, UA 8. ~ Creator: College of William and Mary. 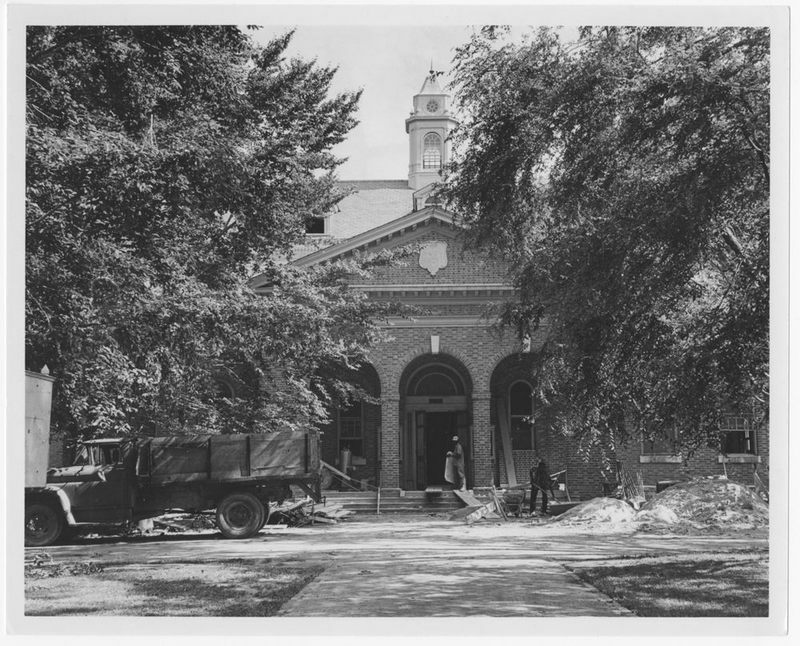 The Old Library, now known as Tucker Hall, during renovation and conversion to house the Law School, circa 1967.